WTF Are You Reading? : A Diamond In The Rough Finds Her Shine In The Emotionally Compelling "Becoming Ellen"
A Diamond In The Rough Finds Her Shine In The Emotionally Compelling "Becoming Ellen"
Reviewer's Note: Because book 1 of this duology provides readers with a detailed and very relevant backstory which is imperative to the understanding of both the characters and character motivations, which are the basis for book 2. It is strongly suggested that book 1, entitled Invisible Ellen, be read first. Ellen Homes has come a long way from the reclusive shadow that readers were introduced to in Invisible Ellen. Now living with her best friends, Temerity and Justice; Ellen is slowly coming to realize that she is ready to shed the self-imposed cloak of invisibility that has been both her shield and her prison for the majority of her life. When the plights of two young children spur Ellen into action. She is forced to confront the demons of neglect and abuse in her own tragic past. Putting her sleuthing petal to the metal at work, also puts Ellen front and center with very illegal, and even more dangerous goings on with some of her more shady co-workers amid the Costco night shift. 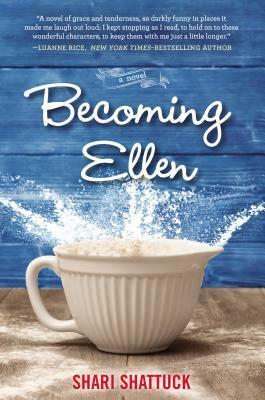 Becoming Ellen is not a book that is meant to be breezed through. It is both emotionally complex and at times, almost painfully slow. Readers must understand that Ellen is a woman who has made it through life without many of the social skills or the context for said skills, that most of us take for granted. As a result, each attempt to participate in, or change things in her world is the equivalent of climbing Mount Everest. Surprisingly, there is love to be had amid all the chaos, self discovery, and Temerity inspired Nancy Drewing. For Temerity, romance comes at the piano playing hands of her new downstairs neighbor. Justice finds his happily with a sweet lady doctor, and Ellen makes three, with the equally shy and incredibly patient musician Rupert. 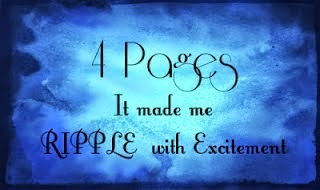 This is a very compelling read, that draws one in and doesn't let go until its ending pages. Please be advised that even though the sensitive issues of child abuse and neglect are handled with great respect and care; these issues can serve as a trigger for some readers.